It’s Monday night and you want a quick supper. You’re looking glumly at the leftover lamb from the Sunday roast. What to do? Shepherds’ Pie doesn’t appeal. You make a moue at the thought of meatballs. Can I make a polite suggestion? 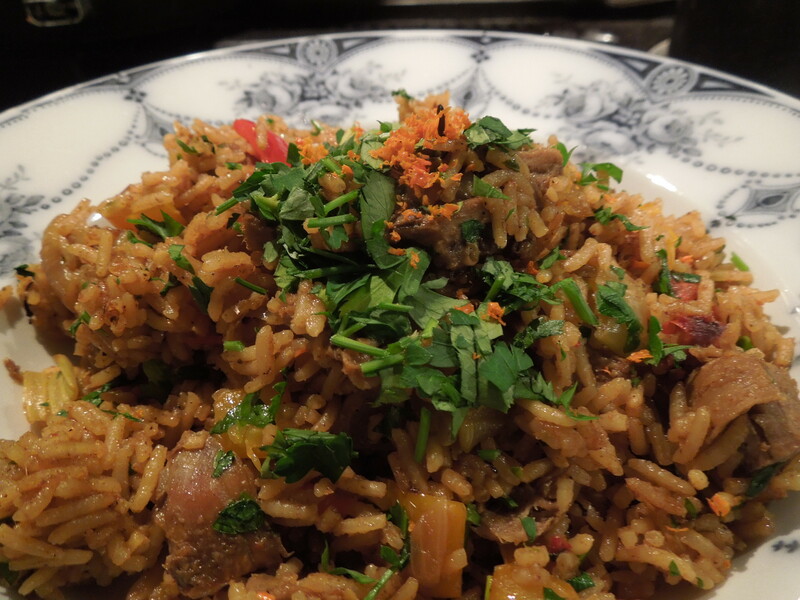 This spicy lamb pilaf is a one-pot meal that takes minutes to prepare and little longer to cook and it’s full of fragrant flavours. A quick explanation of the basic measures: when I say a mug, I mean a builders’ tea sized mug. Put a good glug of oil into a large deep frying pan (one with a lid) and gently fry the onions and celery until golden. 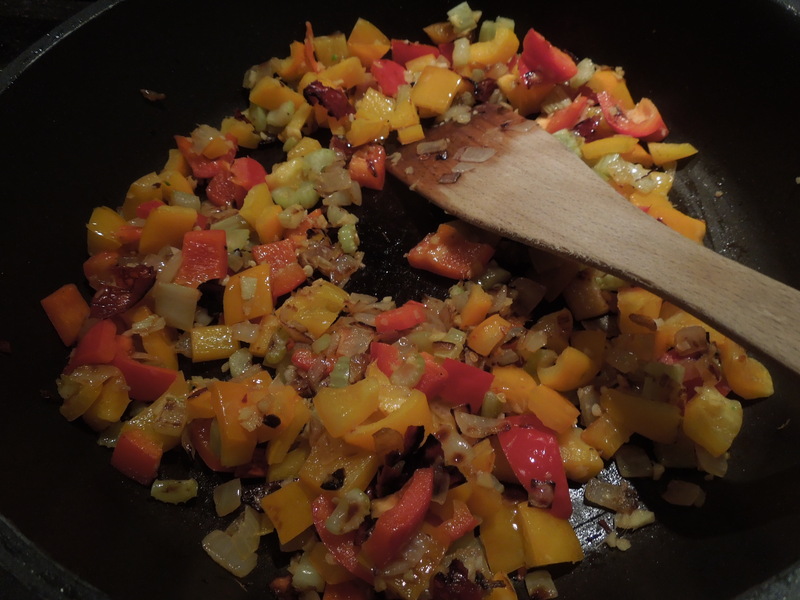 Add the peppers, garlic and ginger and fry for another few minutes, until the peppers have softened slightly. Add the spices, fry for one minute. Pour in the rice and stir to coat. Throw in the lamb and mix it through. 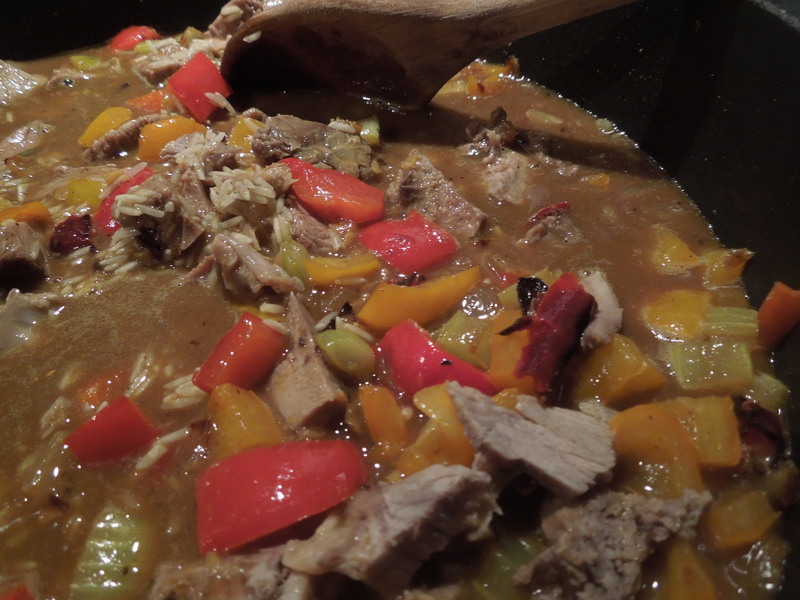 Now add the stock and orange juice, stir well, put on the lid and simmer gently for 20+ minutes or until the rice is cooked and not gritty but still has a bit of bite. You may need to stir it occasionally to make sure the rice doesn’t catch on the base of the pan. Remove from the heat, stir in the bulk of the parsley and most of the orange zest, saving a few pinches of each for a garnish. Put the lid back on and let it rest for five minutes. Stir in the lemon juice and serve topped with the remaining parsley and orange zest. 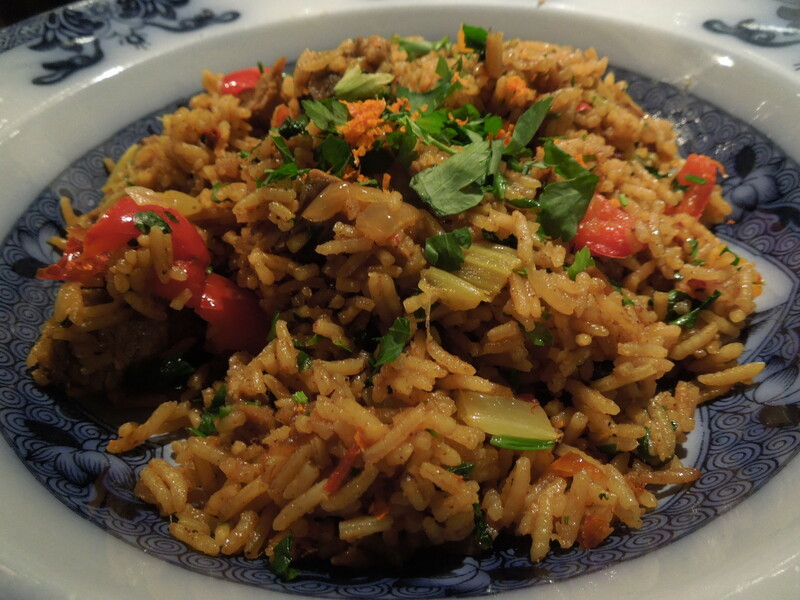 This entry was posted in Lamb and kid, Mains and tagged leftover lamb, rice dish, Spicy lamb pilaf by Linda Duffin. Bookmark the permalink. That looks so delicious – I can almost smell it from here.. Cheers Arax – maybe something Armenian next then?